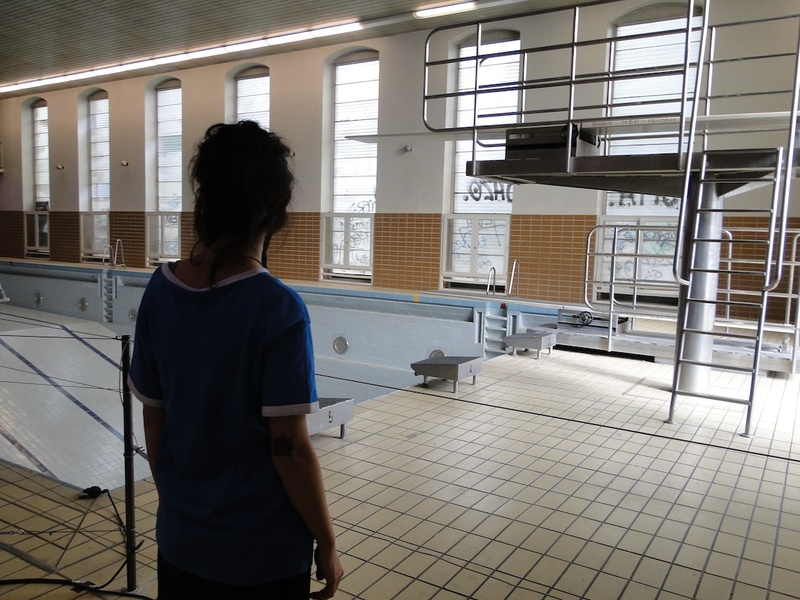 19 artists from Denmark, Britain, France, Germany, Italy, and the United States dealt with the space and its former function as a public indoor swimming pool as well as with its transition into a new art venue in Berlin, Wedding. 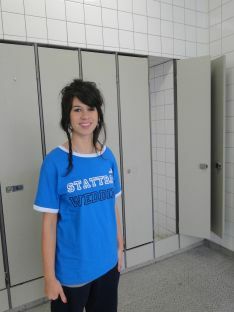 My contribution was a person wearing a pool attendans outfit during the opening hours of the exhibition. The project focuses on human relations and the way they take place in a social and cultural arena. 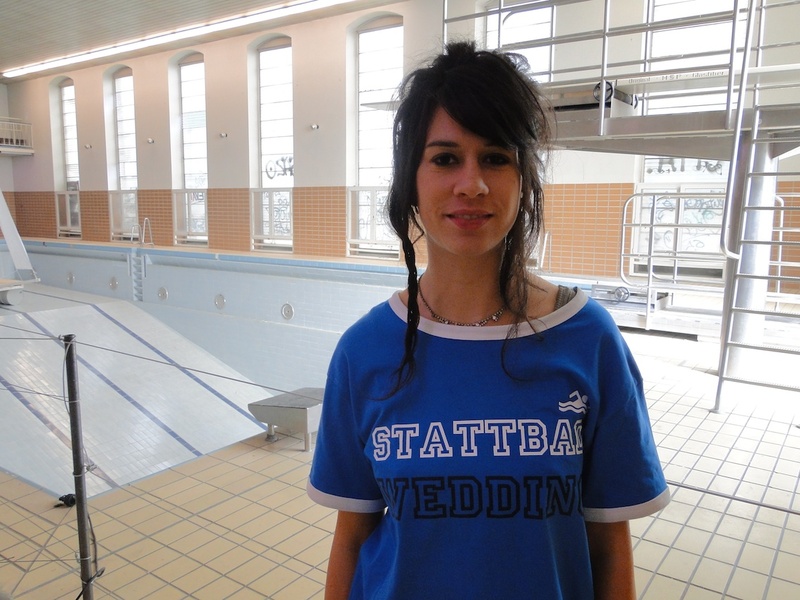 In 2002, swimming in Stadtbad Wedding came to an end. 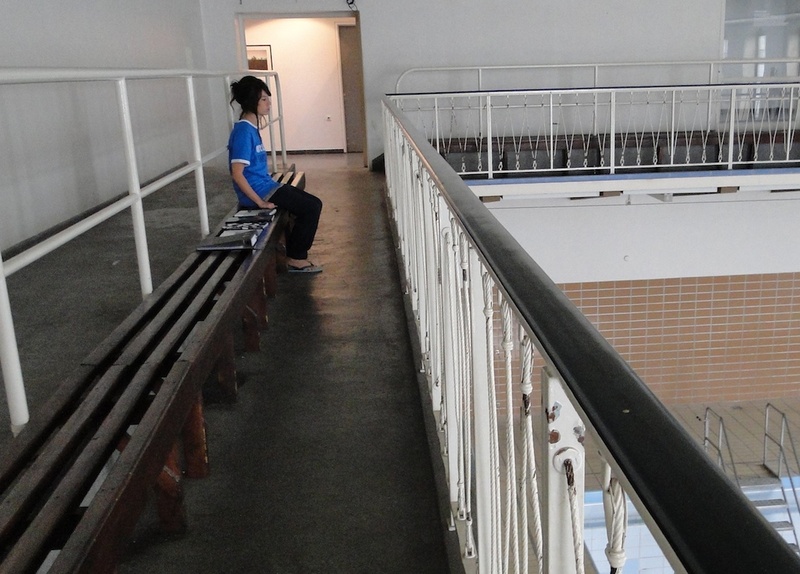 Eight years after its closure, a former public bathing institution became the central theme of the exhibition NO FOOD NO DRINK NO STICKY LOLLIES. The work of the participating artists was shown in the rooms which once served the purpose of bathing and the activities associated with it. 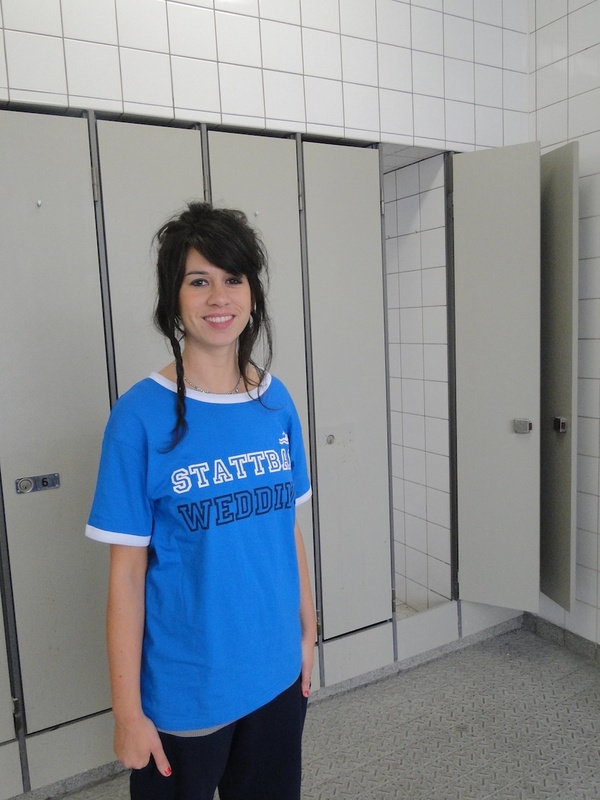 STATTBAD, now a privately run art space, served for one week as a model for how art might be integrated in public institutions. The abandoned swimming pool, the emptiness and the deterioration of the building, erected in 1907, were central themes considered by the artists in the exhibition. The use of an existing space, art as a means of communication in everyday life and the discussion of current local developments were key aspects of the exhibition concept.